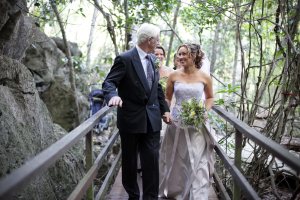 Soft candlelight, captivating acoustics and complete privacy make Cathedral Cave a truly magical venue for your wedding. Ramps into the cave create easy access for your guests and our stunning new lighting is a photographer’s dream. 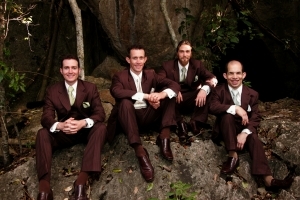 We invite you to meet one of our wedding coordinators who will give you a personal inspection of Cathedral Cave and discuss your ideas in detail. 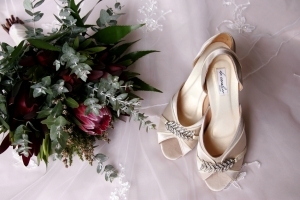 Please contact us to make an appointment and view our wedding booklet to start planning. 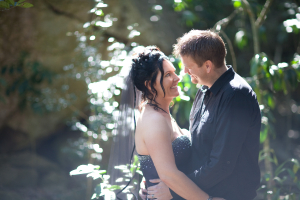 A secluded setting for your reception and modern on-site accommodation means you can plan your whole special day at Capricorn Caves. While you take advantage of countless spectacular photography options, we will look after your guests with drinks and canapés. We have a fully licensed bar on site. When everyone comes together for your celebratory dinner, we can guarantee succulent roasts and divine home-baked desserts. Our well-equipped stage area is ideal for speeches, music and dancing. There is no need to rush on your special day. With on-site accommodation, you can enjoy a peaceful morning of pampering and preparation in the comfort of our modern Deluxe Cabins. 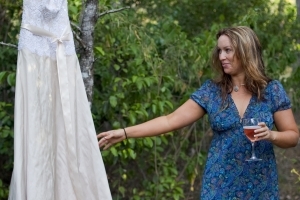 After your wedding and reception, guests can retire to our lodge, cabins or caravan park.